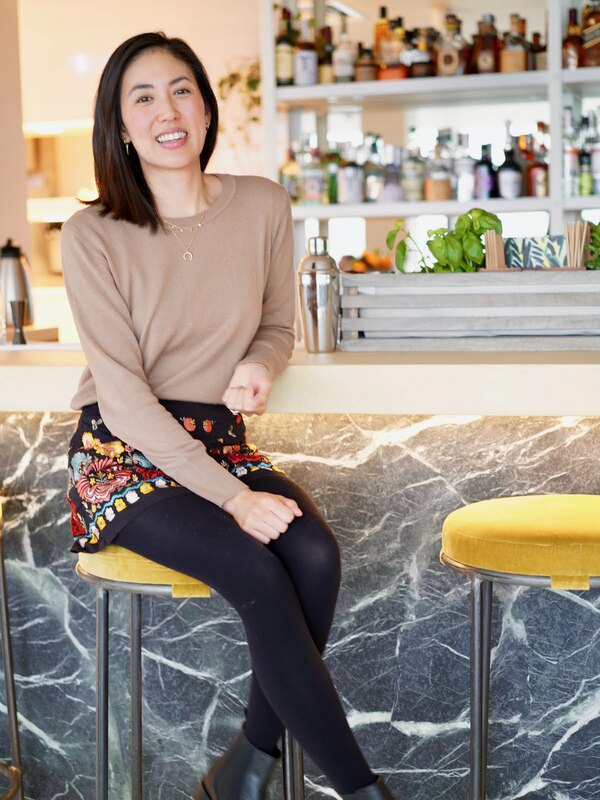 Wow we're at the end of June already, it's been a busy month with lots of catch up with friends, shooting weddings, bbqs and watching the last episode of Pretty Little Liars, yes I know that show is super crazy but I had to find out who A was!! To fill in the TV void, I've been watching Love Island - trash TV is so addictive! 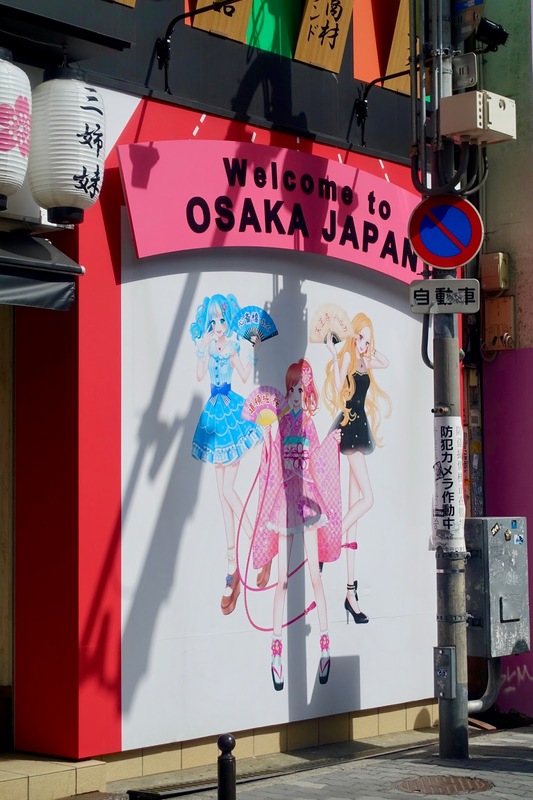 Anyway TV shows aside, I wanted to share with you guys what we got up to when we visited Osaka on our Japan trip. 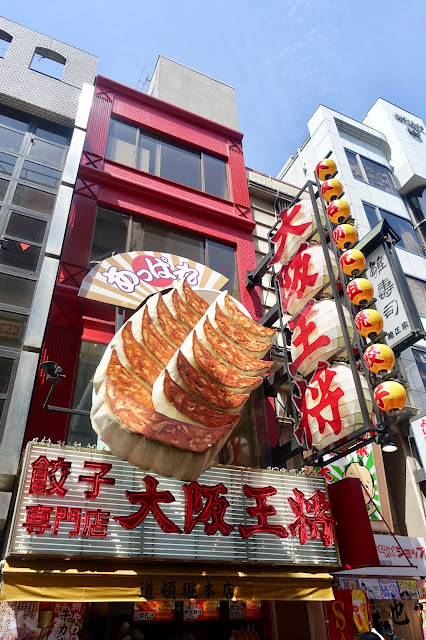 We knew we had to plan a day trip to the foodie capital of Japan and although it didn't have the same buzz as Tokyo or charm as Kyoto, it was still worth a visit. Hope you enjoy the post! We travelled from Kyoto to Osaka on the Hankyu-Kyoto Line from Kawaramachi station and it took around 45 minutes. When we arrived at Osaka station it was absolutely heaving, with crowds of people everywhere -it was a Saturday so that's probably why! 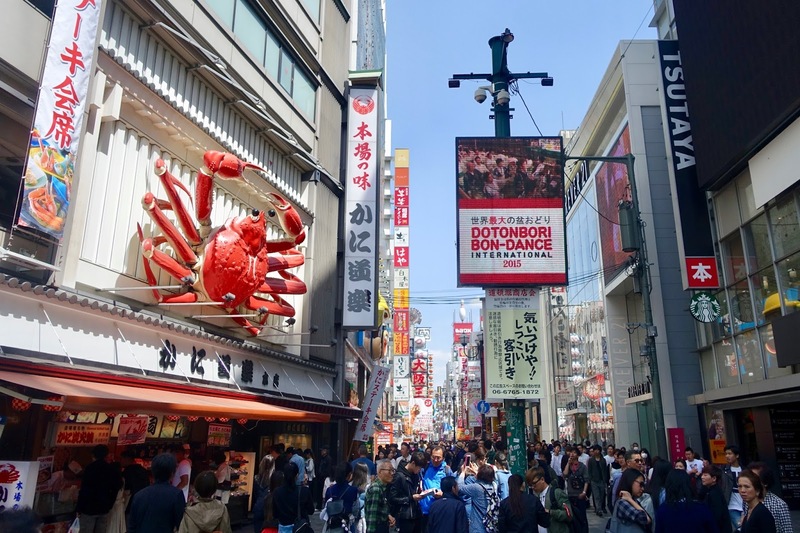 We took the metro to Namba and headed to Dōtonbori street, the main street in Osaka with bustling restaurants with large hanging crabs! It was a really busy and lively atmosphere, everyone keen to grab some delicious food and soak up the atmosphere. There are lots of stalls with street food, make sure you try the infamous octopus balls! 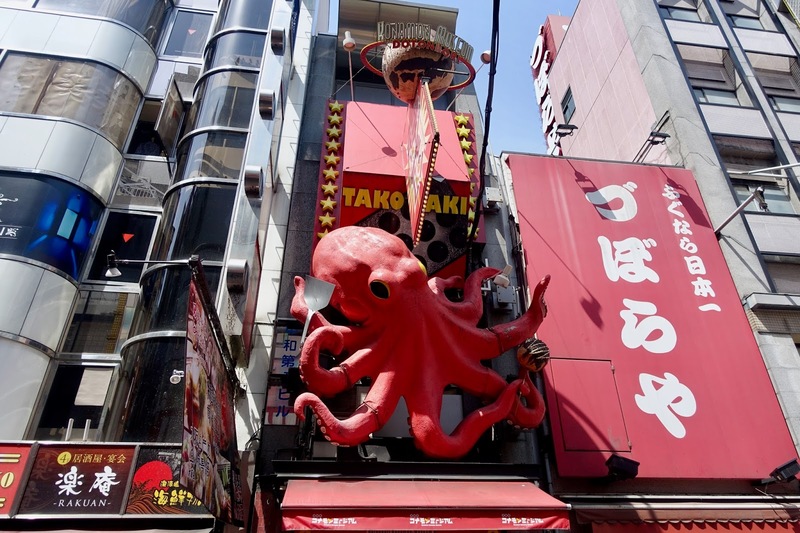 We walked through to the end of Dōtonbori street and came across a restaurant with classic Japanese dishes that we had come to love. 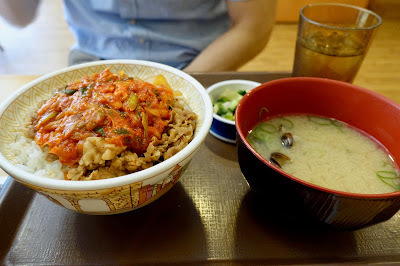 Hang had the pork rice bowl with chilli sauce and the most delicious clam miso sauce, it was so tasty. 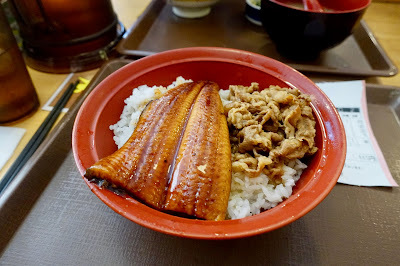 I went for the teriyaki eel and pork and it was so good. Look how large the eel is! We were suitably full and carried on with our sightseeing. 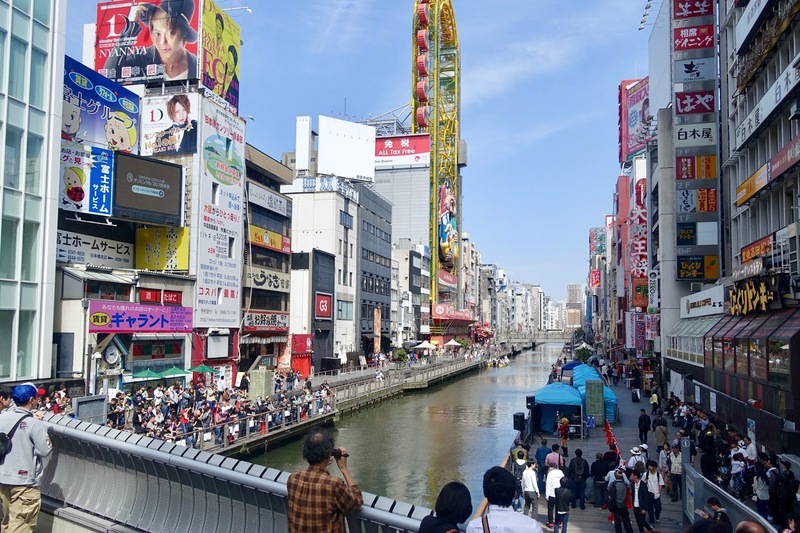 Another popular spot in Osaka is the Ebisubashi bridge, it attracts a lot of people and on the day we went there were performers along the canal. It has a really fun and lively atmosphere. 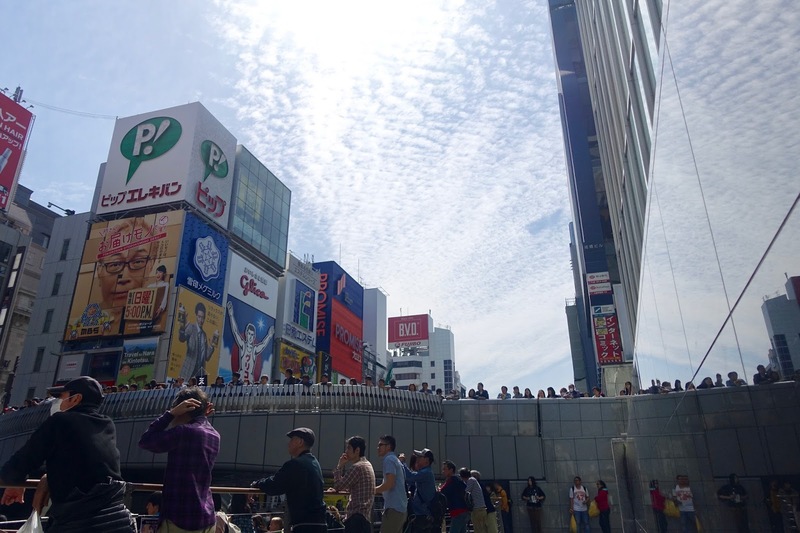 Nearby the bridge is the Shinsaibashi Suji covered shopping centre and I've never seen a crowd like that. It was jammed packed, so Hang and I quickly walked through as I couldn't bear to be such a crowded area! We walked over to Amerikamura which is another shopping district and very much like Harajuku in Tokyo. 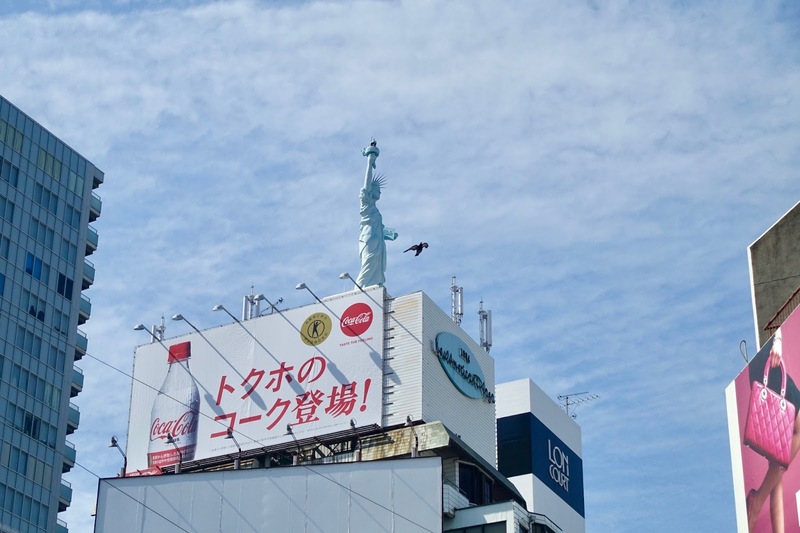 It has a lot of funky shops, cafes, bars and restaurants and even it's own Statue of Liberty! This is a fun area to shop, browse and grab some dessert. 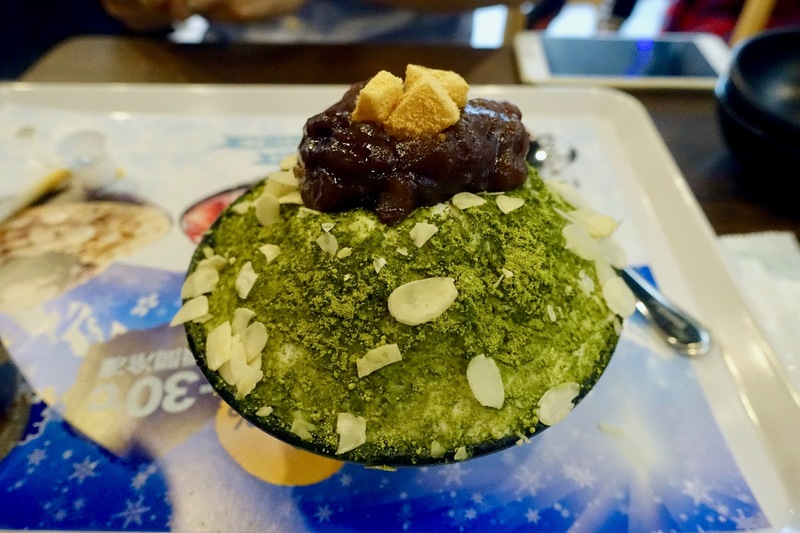 We were craving something sweet and came across a sweet cafe and had some green tea and red bean snow dessert yum! To finish our day trip in Osaka, of course we had to visit the most famous Osaka Castle, which was built in the 15th Century. The castle grounds were very grand with gates, moats and lots of open space. We didn't realised entry up into the castle closed at 5pm and we didn't have enough time to go inside but of course we still wanted to visit the grounds. So if you're planning to visit, make sure you have plenty of time! When we arrived it was amazing to see and take in the majestic castle. It really is an amazing sight, even if we didn't get the chance to go inside. It's a lovely spot to sit and have a snack or ice cream. 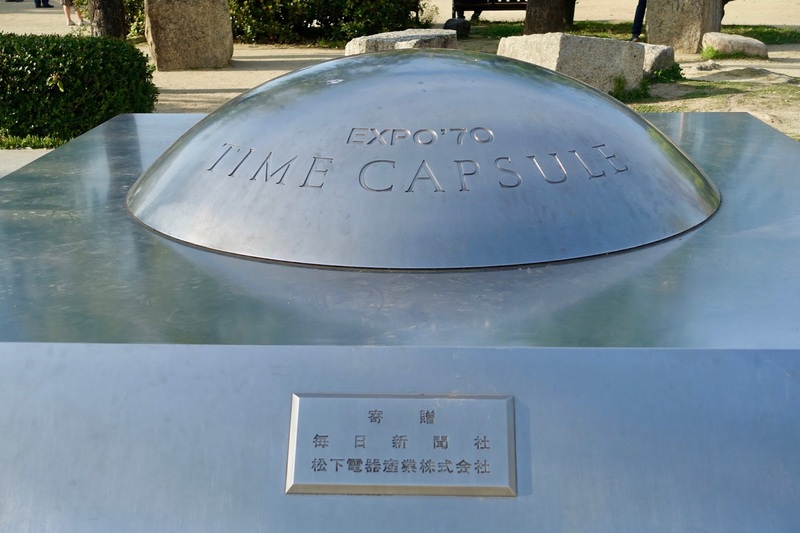 There's also a time capsule, which was buried in 1968 and there are various components what won't be opened for 5000 years, 2000 years and 100 years - it's that amazing! 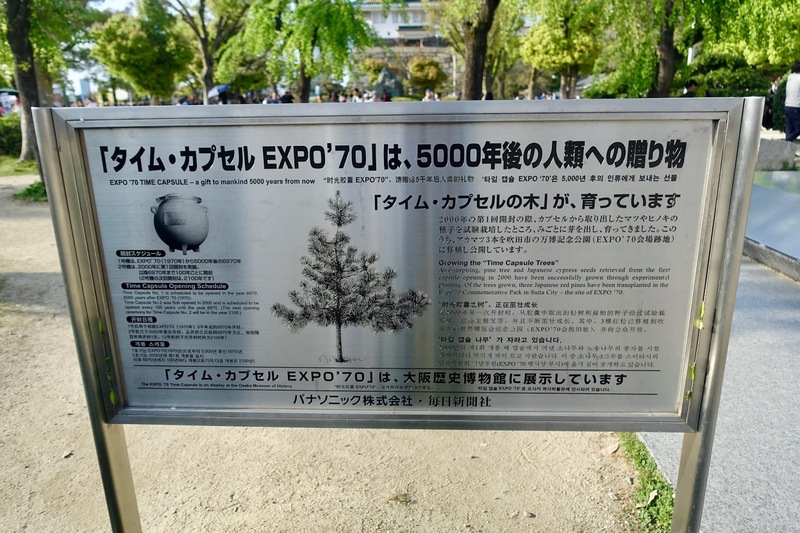 The items buried are dedicated to Japanese descendants to the people of the future. I'm really pleased we managed to see the main sights in Osaka, another place to visit if you have time is the Umeda Sky Building. 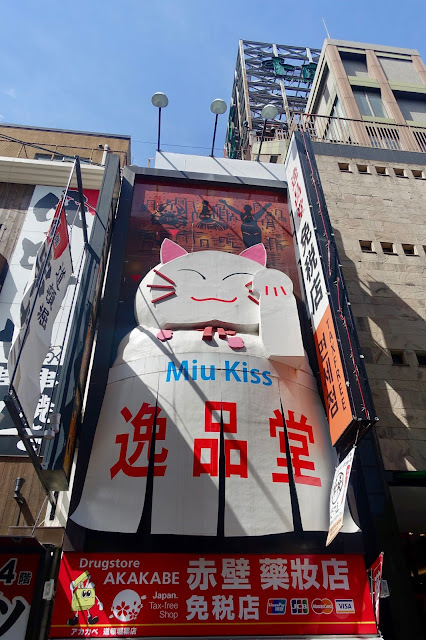 So that wraps up my Japan blog series, I really hope you've enjoyed reading them :) In case you missed it you can catch up my Things to see and do in Tokyo post and Kyoto Travel guide here as well. Japan was such a special and amazing trip and really worth visiting! 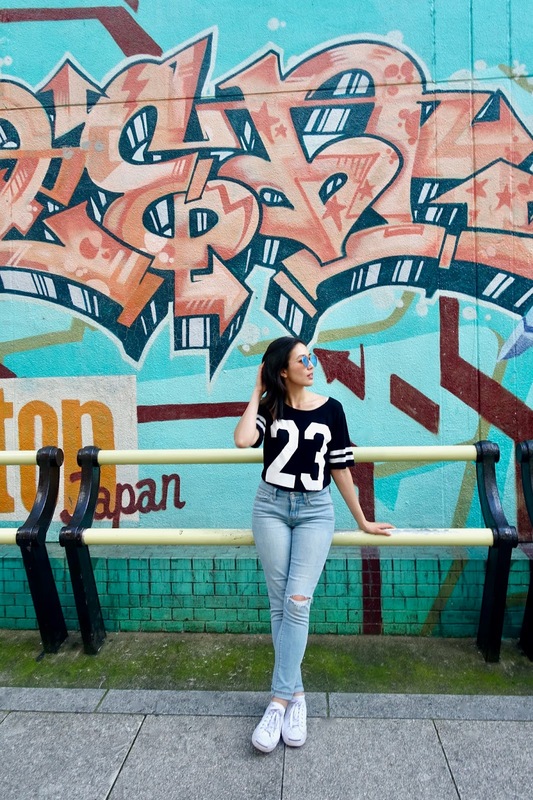 Have you been to Osaka? Did you enjoy it? 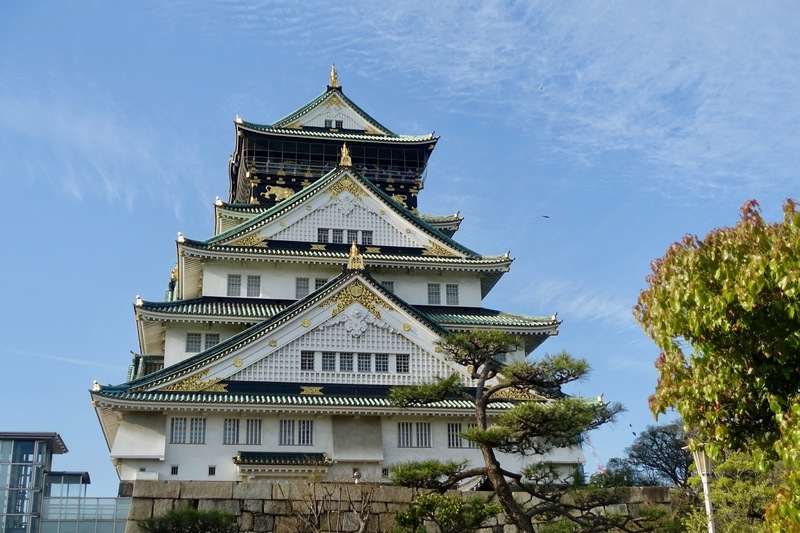 What do you think of Osaka?